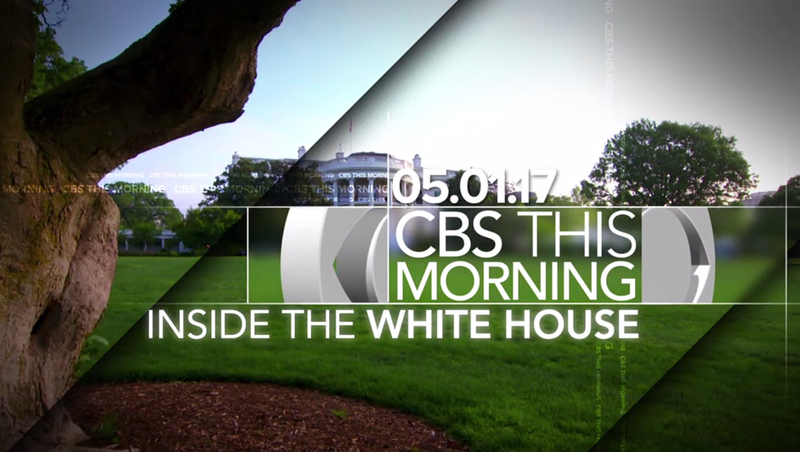 “CBS This Morning” originated from the East Room of the White House Monday morning as part of a special edition marking Donald Trump’s first 100 days in office. 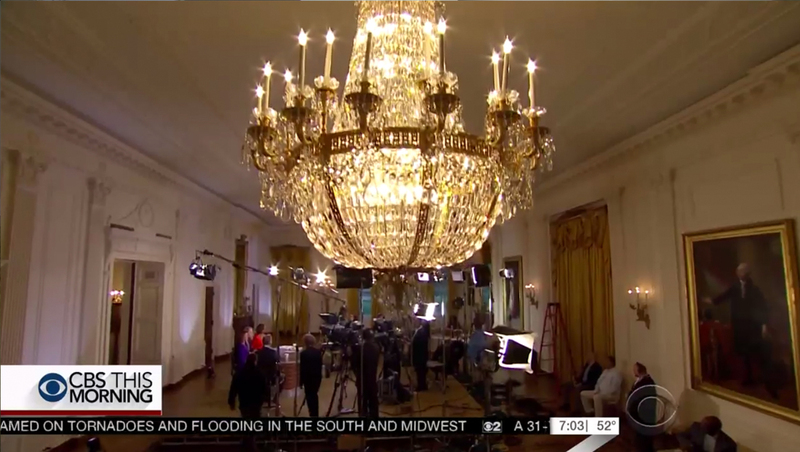 The show opened Monday with its anchors in the Green Room before walking out to the South Portico giving viewers a sweeping view of the south lawn. 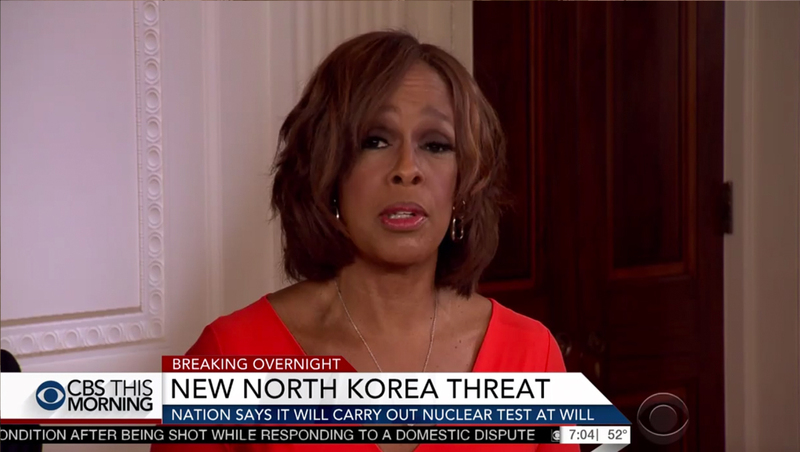 After the show’s traditional “Eye Opener” segment, the anchors were seated around the show’s traveling anchor desk in the East Room. The East Room is used for a wide variety of special events ranging from press conferences and state dinners. 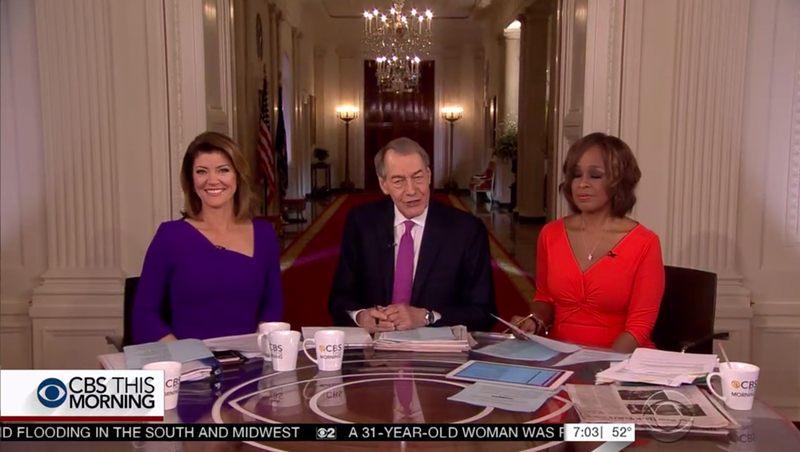 Producers opted to situate Charlie Rose, who was seated camera center, directly in front of the open doors to the cross hall and showing the closed doors to the State Dining Room at the opposite end of the floor. 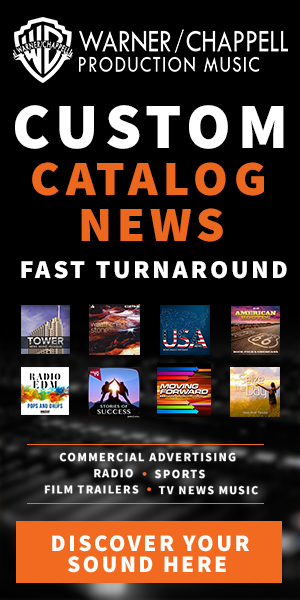 Perhaps most notably in recent memory, this is the same background used when President Barack Obama announced the U.S. strike that killed Osama bin Laden. Meanwhile, co-anchors Gayle King and Norah O’Donnell were seated on either side of him, with their one-shots decidedly less impressive — often giving the impression they were sitting in a rather poorly lit corner. 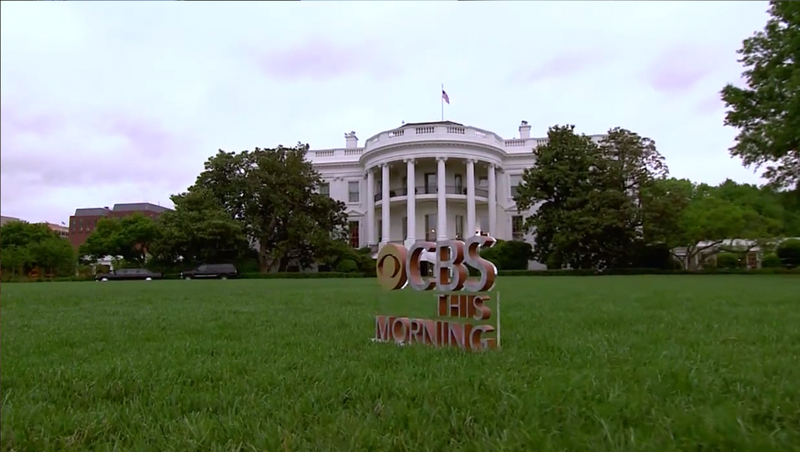 In addition to the interior shots, CBS also set up a jib camera on the south lawn, along with a glass-mounted dimensional version of its logo that appeared in many of the sweeping bumper shots.